The aggressiveness McCabe, 25, showcased on that play and throughout the night illustrates his growing confidence. 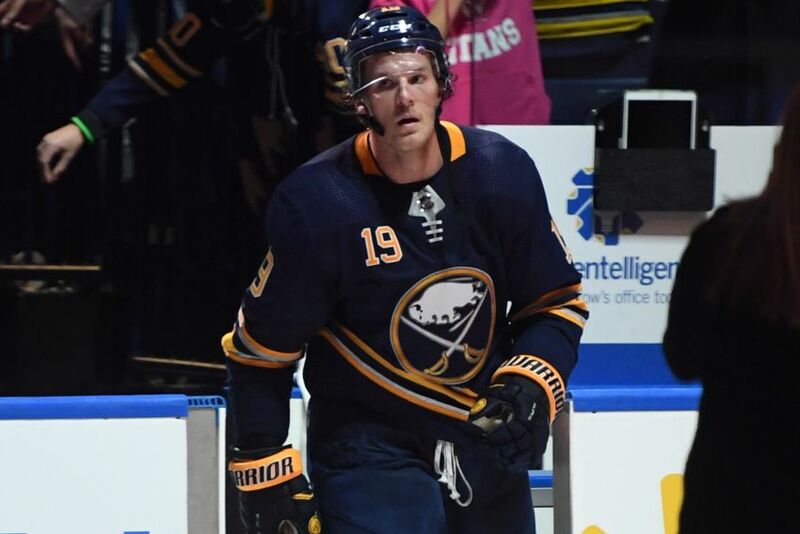 The American impressed Sabres coach Phil Housley, who lauded his all-around effort following the game and again Friday. McCabe has been a catalyst during the Sabres’ three-game winning streak. He had two assists Thursday, giving him one goal and five points in the last five games entering tonight’s road tilt against the Columbus Blue Jackets. Remember, the Sabres haven’t won four straight games since December 2014. Having played 225 NHL games, McCabe is a young veteran. This is his fourth season as a regular. Early on, he established himself as versatile, tenacious defender. His offensive output, however, has been limited. He compiled 17 assists and 20 points, both career highs, in 2016-17. He has never scored more than four goals. Still, McCabe possesses skill that can complement his tenacity. He believes he has a higher level of offense to contribute. A 30- or 35-point season someday certainly seems attainable. “I’m still a young player in this league, I like to think, even though I’m 25 now,” said McCabe, who just enjoyed the best five-game offensive stretch of his career. “With saying that … the depth we have, everyone’s pushing each other. We’re playing the right way, we’re getting pucks to the net. Sabres defensemen have compiled six goals through the opening 10 games. Incredibly, a year ago, a defender did not score a goal until McCabe tallied Dec. 5, a whopping 28 games into the season. McCabe’s five points lead the defense. McCabe attributes his recent offensive prowess to confidence. McCabe has performed so well Housley skated him more than 20 minutes in the last three games. On Thursday, McCabe assisted on winger Jason Pominville’s first goal and roared in on a partial breakaway. He also blocked three shots, putting him in a three-way tie for the team lead with defensemen Zach Bogosian and Rasmus Ristolainen. After starting the season beside rookie Rasmus Dahlin, Housley put McCabe back beside Ristolainen, his partner much of 2016-17, late last week. Part of the Sabres’ early success stems from how well the defense has meshed. It can be hard to tell which pair is the first and which is the third. “That’s kind of what we like about our team this year,” McCabe said. “We don’t have to so much worry about matchups, especially in the league nowadays. In some instances, maybe with Boston and other teams, that they do have that bonafide No. 1 line. But a lot of teams have a 1A and a 1B, really.